Paisley, Rope design Mother's ring. 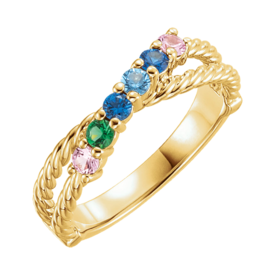 Simple rope design band will hold your treasured symbolic gemstones 1-6 in this Mothers ring. 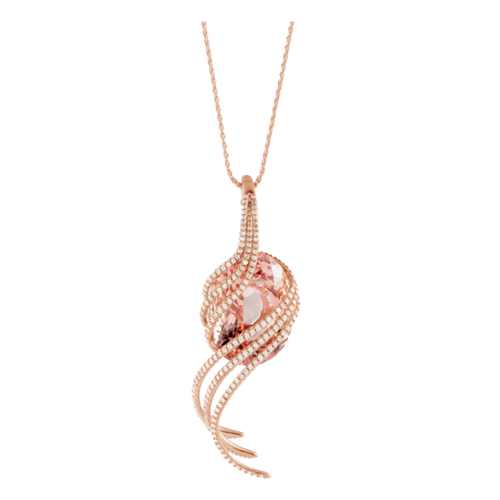 Available in 14k White, Yellow, Rose gold or Platinum. Each stone measures 2mm round. Email for pricing with your gemstone selections genuine or lab created. Negative space family ring, Ella. Very modern style family ring can be set with 1-6 birthstones to symbolize your amazing family. Gemstones are 2.5mm round, accent diamond is 1.7mm round. Our price shown is for this ring set with accent diamonds and 2 lab created stones, email for pricing with your gemstone selections genuine or lab created. 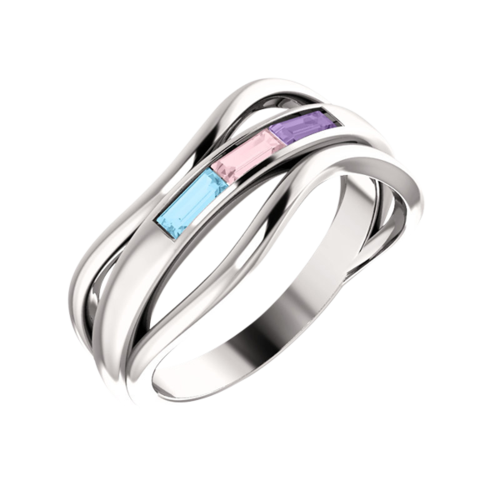 Order this family ring in 14k White, Yellow, or Rose gold. Bree, Negative Space Family Ring. Unique design features straight baguette cut gemstones 4x2mm each accented with 1/8ctw diamonds. This ring will hold 1-6 birthstones to represent your wonderful family. Price shown is set with diamonds, Email for pricing with your selected gemstones genuine or lab created. Shown in 14k Rose gold this style is also available in 14k Yellow or White gold and Platinum. Audrey, a Classic Mothers Ring. Chevron design simple Mothers ring can be set with 1 to 6 symbolic gemstones. Each gemstone measures 2.5mm round. Email for pricing on this ring style with your genuine or lab created gemstone selections. Available in 14k Yellow, White, Rose gold or Platinum. Price shown is for the ring with 3 gemstone spaces (no gems). Infinity Inspired Mother Ring. Great design will stack with another ring or a simple wear along style. Gemstones each measure 2mm round and is available set with 1 up to 5 stones. Order in 14k Yellow, White, or Rose gold also Platinum. Email for pricing with genuine or lab created stones. Dainty accent diamonds are 1mm round each. Ring measures 1.7mm wide at the shoulder. Gemstone Mothers Ring, Serena. 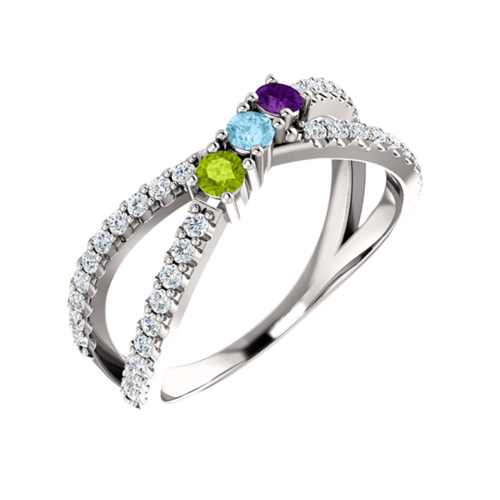 Very stylish diamond and gemstone Mothers or Family ring. 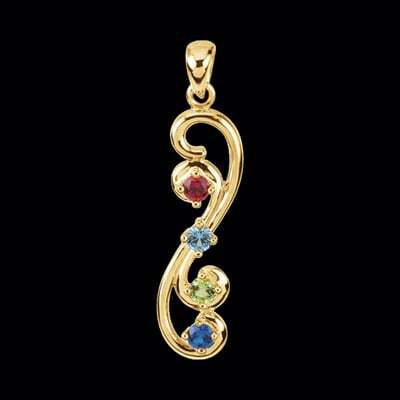 This great design will hold 1 to 5 gemstones. We're happy to set with genuine or lab created gems. Each stone is 2.5mm round. Available in 14k Yellow, White, or Rose gold. Our price shown is set with 1/3ct diamonds. Email for pricing with your gemstone selections genuine or lab created. 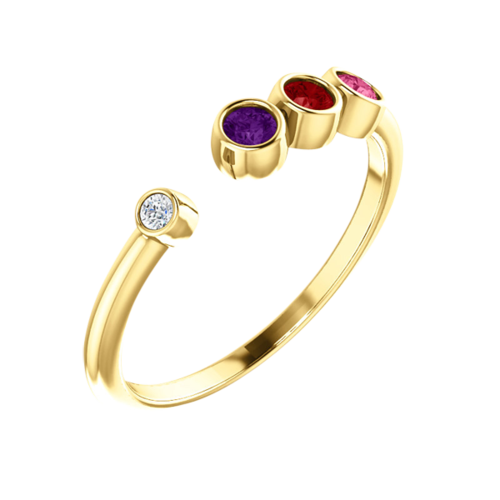 Gemstone Mothers Ring, Poppy. Modern design Mothers Ring for the modern women. 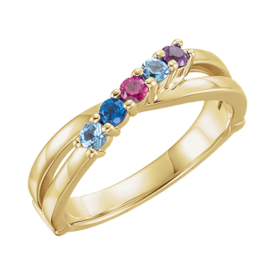 Ring will hold 1-6 birthstones to represent your wonderful family. Price shown is set with 3 lab created gemstones, email for pricing with your gemstone selections genuine or lab created. 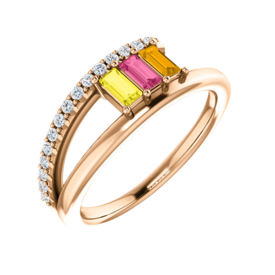 Order this family ring in 14k White, Yellow, or Rose gold. Lovely floral scroll locket. 14k Yellow gold floral scroll embossed edge locket. 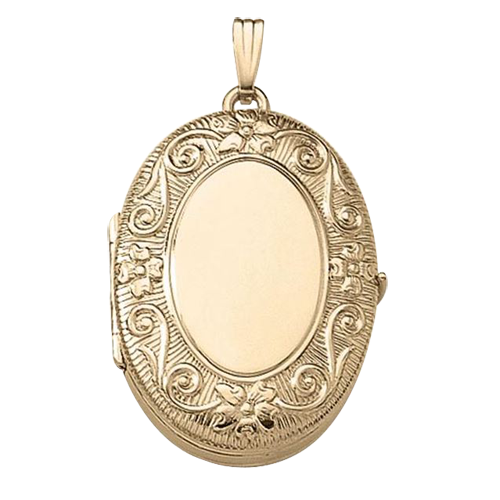 This locket will hold 2 photos and features a polished finish. 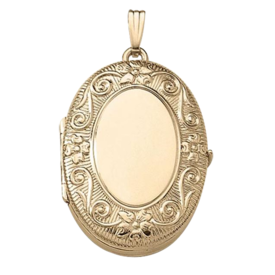 You'll love the Victorian design, a wonderful keepsake pendant. 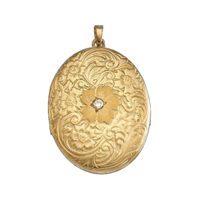 This locket measures an incredible 30mm in height by 23mm wide. Classic 14k Gold Mothers Ring, Chelsie. Very stylish mothers ring measures 5mm wide across the top and stones are each 3mm round. Ring weighs 3.78grams. Price shown is without gemstones. Email for a price quote with your gem selection in 14k Yellow, Rose, or White gold. This beautiful Mothers Ring will hold 1-6 symbolic gemstones. Gorgeous Gabriela 14k gold Mothers Ring. 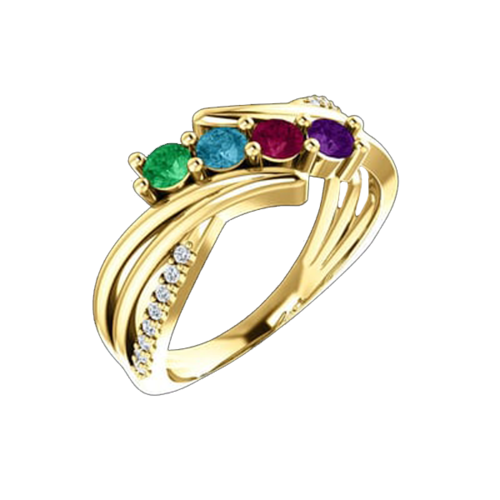 This beautiful family ring is available with 1 to 5 symbolic gemstones each representing one of her most precious children. Be prepared, she will most likely cry when you present this loving gift. Email for a price quote with your gemstone selection, genuine or created. 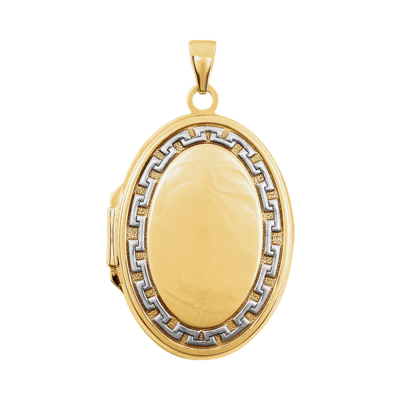 Available in 14k Yellow, White, or Rose gold. Also available in Platinum. Diamonds total .08ctw and each gemstone is 3mm round. Pricing includes diamonds but not gemstones. Beautiful 14k Yellow or White gold family gemstone swirl drop pendant. Pendant measures 35.25mm in length by 9.25mm wide. 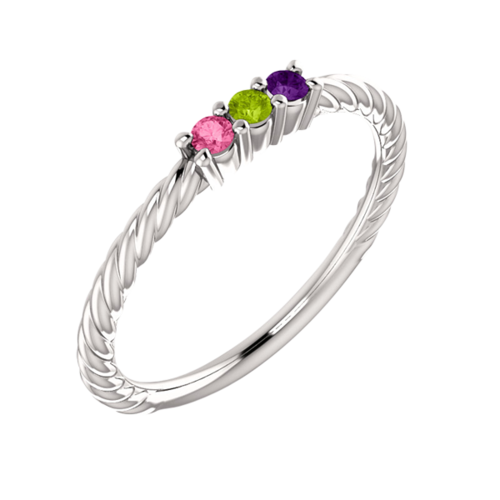 This design is available with 1 gemstone up to 5 gemstones. Each gemstone is 3.5mm round. Email for your gemstone pricing genuine or created. 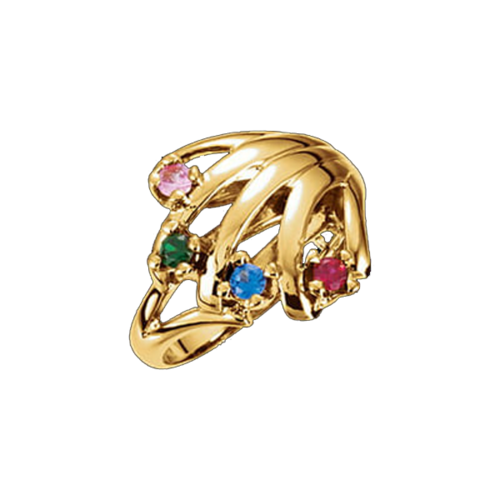 Classic 14k Gold Mothers Ring, Mary. Very stylish mothers ring measures 5mm wide across the top and stones are each 3mm round. Ring weighs 4.81grams. Price shown is without gemstones. 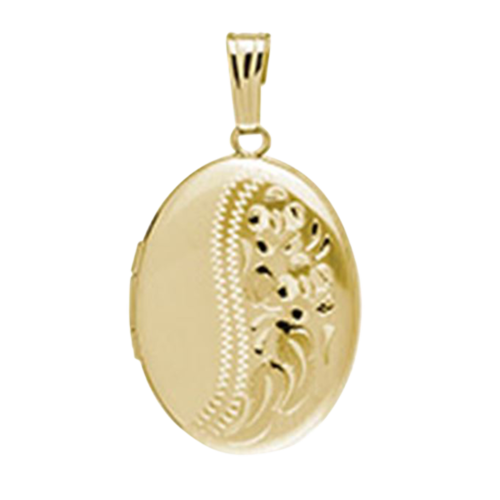 Email for a price quote with your gem selection in 14k Yellow, Rose, or White gold. 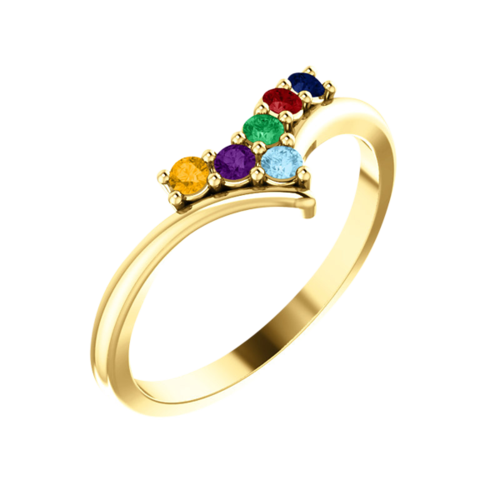 This beautiful Mothers Ring will hold 1-6 symbolic gemstones. 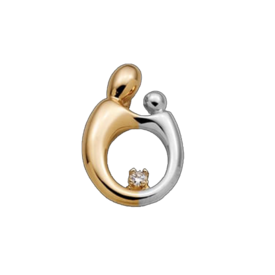 Mother and Child hollow back diamond pendant. Beautiful 14k Gold two tone Mother and Child pendant with a diamond accent. This special pendant measures 20.25mmx 14mm. 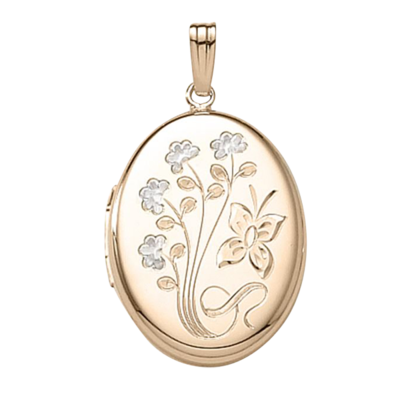 Mom deserves the very best, let us help you find the perfect keepsake jewelry gift she will treasure for a lifetime. 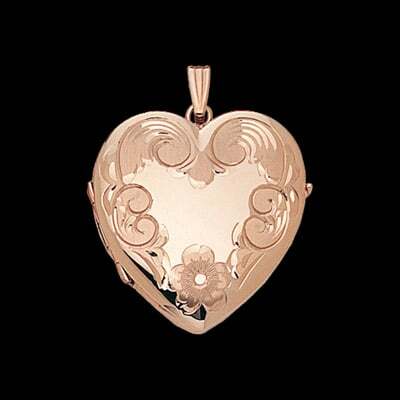 Jewelry makes a wonderful gift for a new Mom or Mom to be also.